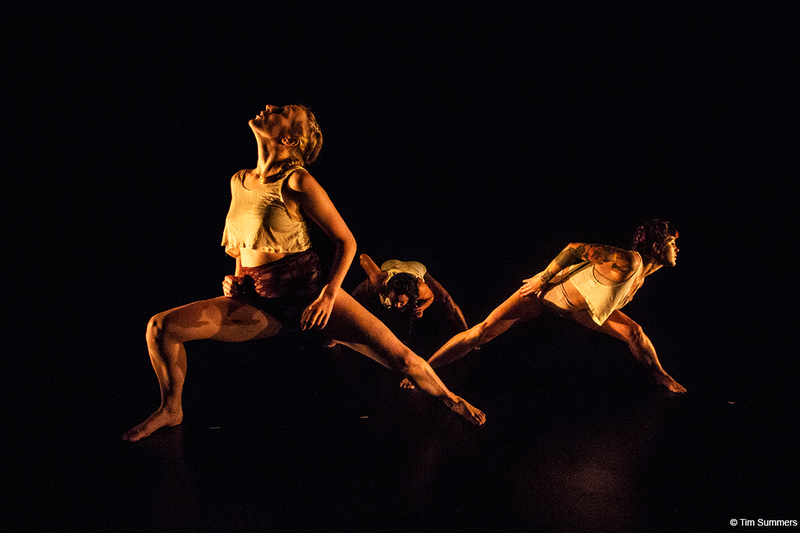 Every year, Velocity Dance Center offers a once-in-a-lifetime chance to a select group of Seattle choreographers with The Bridge Project, a celebrated show made entirely of emerging dance works. The chosen choreographers audition a studio-full of bright Seattle dancers, receive 45 hours of free rehearsal space at Velocity, and have the chance to debut their new work to often-sold-out crowds. 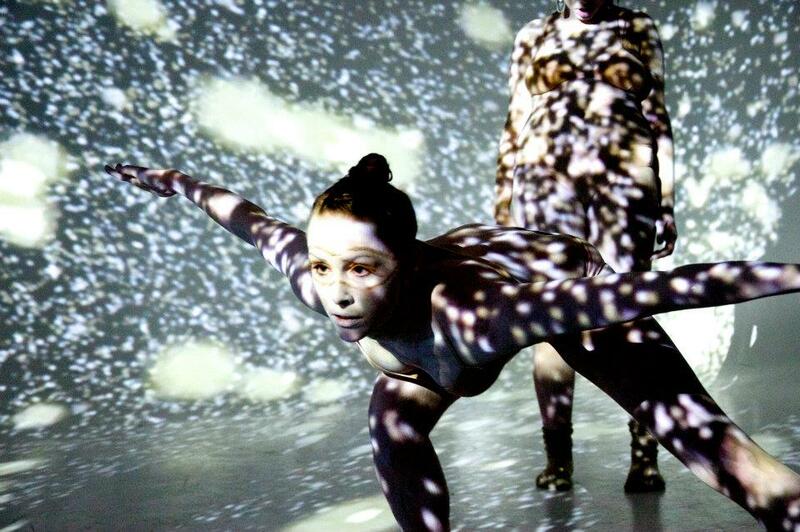 This year, burgeoning dance makers Anna Conner, Babette McGeady, Colleen McNeary, and Shannon Stewart were selected to present their new works in The Bridge Project, January 31-February 2, 2014 at Velocity Dance Center. Tonya Lockyer, Executive/Artistic Director of Velocity, employs The Bridge Project as an amalgamation of Velocity’s training, research, and performance programs: “It makes bridges of all kinds — choreographers to new dancers, artists who are new to the city to the Seattle dance community, artists just out of college launching their professional careers. Bridge choreographers have only been making their work in Seattle for three years or less. So to have four weeks to fully concentrate on making a new work, with a full cast, and every production need taken care of is an incredible gift.” The Bridge Project is indeed a wonderful opportunity for a choreographer’s creative development—but it goes even farther than that. The audience is invited to critique the show they see. “To create an environment that fosters an open exchange of ideas […] everyone in the audience is given index cards, one for each choreographer, and invited to respond to prompts to give the artists immediate feedback on how their work is received,” explains Lockyer. Thus, The Bridge Project not only showcases these choreographers trying their hand at the complex task of crafting dance, but also gives the audience an outlet to respond to the work. SeattleDances touched base with this year’s four featured Bridge choreographers to get an inside look at their new works. Los Angeles transplant and Cornish College graduate, Anna Conner will present Colony this weekend. Her piece aims to uncover the roles we play in our societies, and the emotions that follow those changing relationships. Conner maintains her inspiration by seeking out people and experiences that push her past “comfortable boundaries” and teaches her dancers with “heavy collaboration.” Colony will inform an evening length work that Conner’s company, Anna Conner +CO, is presenting at Velocity March 21-23, 2014. Babette McGeady, another Cornish grad, will present her as-yet untitled work, inspired directly by the spoken word poems of Warsan Shire entitled “The Seven Stages of Being Lonely.” McGeady’s process in creating this work relied upon “highlighting small areas of tension and weight to heighten the intensity of emotional turmoil and unbearable sadness that comes from the spoken poetry.” McGeady also directs Seattle-based movement company, The Pendleton House, which has been making waves in the dance scene with its heady works and film and dance collaborations. Choreographer and performer Colleen McNeary will take the stage in a solo titled Scene Study #1. Motivated by her affinity for film, and set to the original score of recording musician Daniel Toscas, McNeary’s piece aims to take apart narrative and show disjointed scenes in an individual life. McNeary is also a recent graduate of Cornish, and this is one of her first experiences choreographing for audiences outside of the university. With Scene Study #1, her purpose is to stay true to what is vital, and link her personal narrative to the common stories of society. With by far the largest cast in the performance, Shannon Stewart’s 17-dancer ensemble is a continuous mosh-pit of improvised group movement, chaos, and connection. Stewart runs her rehearsal like a dance party—she plays music, and the dancers move. From time to time she joins in to motivate the energy, but gives very little technical direction. She wants her dancers to “be open to discover together.” Stewart is concerned with how individual interior feeling can travel through the body and translate to an external experience. These four choreographers and their dancers, supported by the production help of Velocity Dance Center, invite the community to bridge the gap between performance and personal experience this weekend. The Bridge Project will present these four new works at Velocity Friday, January 3, through Sunday, February 2 at 8:00 PM each night. Tickets are available at Velocity’s website and at the door, if any are still available—Friday’s show is already sold out.